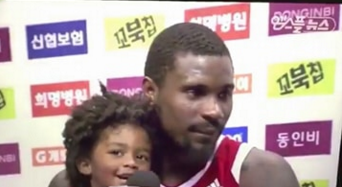 Vernon Macklin had plenty of memories with Barangay Ginebra in the PBA. In 2013 he led Ginebra to the PBA Commissioner’s Cup Finals versus the eventual champion Alaska Aces. He had so many highlights with the team that made his stay special and memorable to the ever loyal Ginebra fans. And, I'm sure when he comes back to the Philippines, he will be welcomed by his fans with open arms and with the loudest possible cheer. But apparently, the long wait could be soon over as according to Female agent Sheryl Reyes, there will be a return of the comeback for the fan favourite VMack! 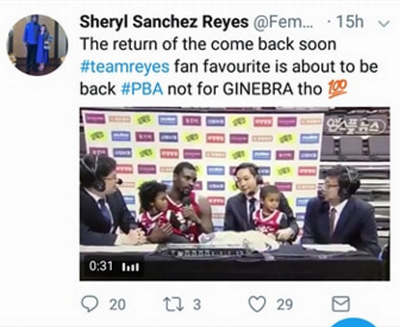 "The return of the come back soon #teamreyes fan favourite is about to be back #PBA not for Ginebra tho," said Reyes via Twitter. Apparently, his comeback won't be for Ginebra. But I'm sure whichever team he plays for, he will still be part of the story of the most famous basketball club in the Philippines.